As you all probably have already noticed, I've moved to Malaysia to handle some things, and though I have plans to move back to Melbourne, I'm not sure when that will happen just yet. So for now I'm keeping myself occupied with Malaysia, and what comes with it. One of the things that comes with Malaysian weather is the insane humidity. My hair used to be straight enough so that it wouldn't look weird after being affected by the humidity and heat, but it's changed now. So what I get is this puffy, frizzy, half curly mess that is just depressing to look at. Especially in photos. The David Babaii Blow Out Rapid Blow Dry Spray is love in a can. This spray is essentially a two-in-one (YESSSS!) heat protectant and blow dry speeder-upper. It reduces the amount of frizz I get in my hair after a blow dry, and I love that I don't need to apply heat protectant underneath it first, because this already is one. It cuts down my blow dry time by an impressive amount - it usually takes me forever to blow dry my hair because it is quite thick. My hair is sleek, glossy, and shiny by the time I'm done, and I don't need to sacrifice any volume or suffer any greasiness for it. This retails for AUD 24.50 per can and is available at Priceline, and in selected salons and pharmacies nationwide in Australia. 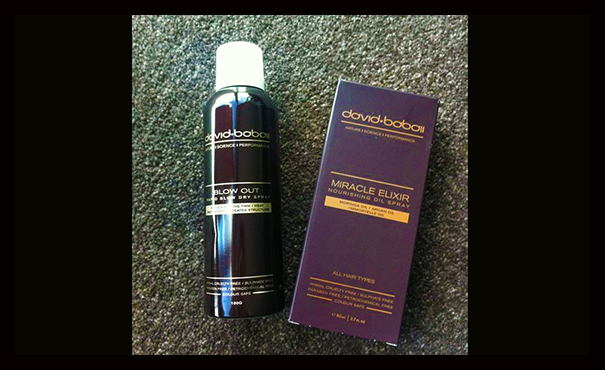 I already blogged about the David Babaii Miracle Elixir in a previous post listing my haircare routine, and it is still a part of my haircare routine today. It is a very lightweight leave-in spritz that doesn't need to be combed in or messed with - simply spritz it onto your tresses and let it work its magic. What you get in the end is extra shine, and not the least bit of frizz. I use this right after blow-drying and it works a right treat. Not to worry if you have thin hair - this hardly leaves any grease behind, and doesn't weigh the hair down at all. I even spritz it onto my boyfriend's hair after he's done styling it, but he doesn't like it because it makes his hair too soft - a positive, negative review, in my eyes! This retails for AUD 29.95 in stores. 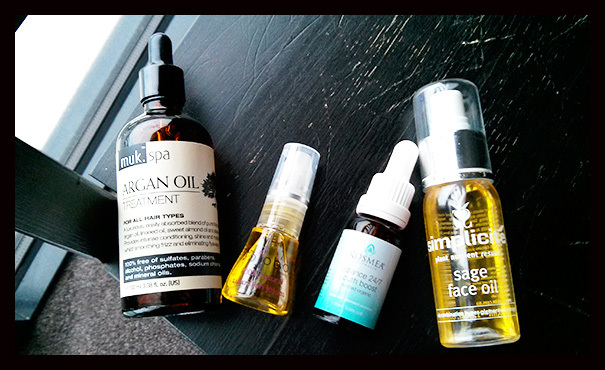 Another product I am absolutely in love with (and I use this on days when my hair just won't behave, and when I don't blow dry it) is the muk spa Argan Oil Treatment, pictured below in the far left. This miraculous product is the reason for the improved health of my hair ever since the damage it suffered after I had it balayaged. The genius people behind this hair serum have formulated it specifically so that the molecules responsible for incredibly smooth, glossy hair, are absorbed into the hair, instead of sitting on top of it. This helps to keep the hair grease-free and light, whilst still delivering all the beauty of argan oil directly into the shaft of the hair. I swear by this, and I haven't stopped using it since I found it. This bottle retails at AUD 34.95, and is available at selected stockists - see www.mukhair.com.